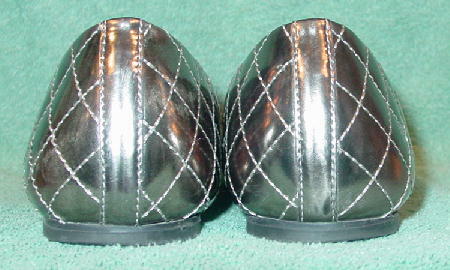 These leather ballet flats have silvery-titanium leather linings and rubber soles with etched logos. 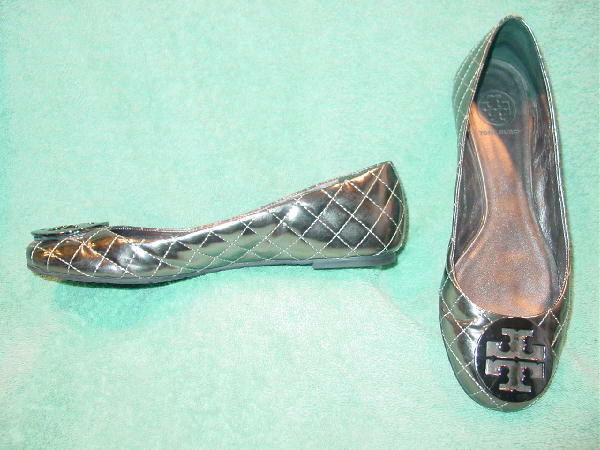 The exterior quilted leather is in a bright silvery-titanium color and there is light-gray accent stitching. The color on the lining is missing where each of the toes rubs on the interior. 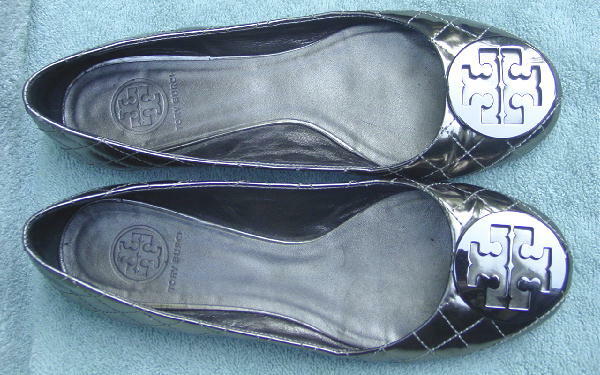 On the front of each toe area is a large metal Tory Burch logo ornament. The shoes were made in Brazil. The back of the right shoe center bottom strip has some of the color missing.